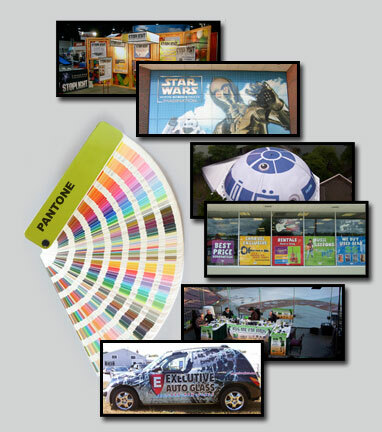 We put to use our 25+ years of experience with concept, design, and print, to help businesses in executing Trade Shows & Events, POP & Retail Graphics, Vehicle Graphics, and marketing programs that deliver a better message to your clients and prospects. We work with you to create graphics and printed pieces that deliver the results you expect, resulting in a better Return On Your Investment and a more successful marketing program. Please take a moment to review our website and should a question arise or you need an estimate on a job, please call us at 888-THE KING (834-5464).